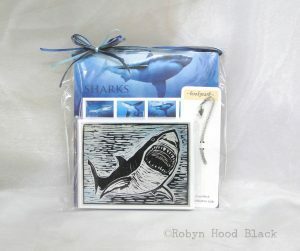 Shark Week Fun – Limited Edition Gift Pack for Shark Fans! 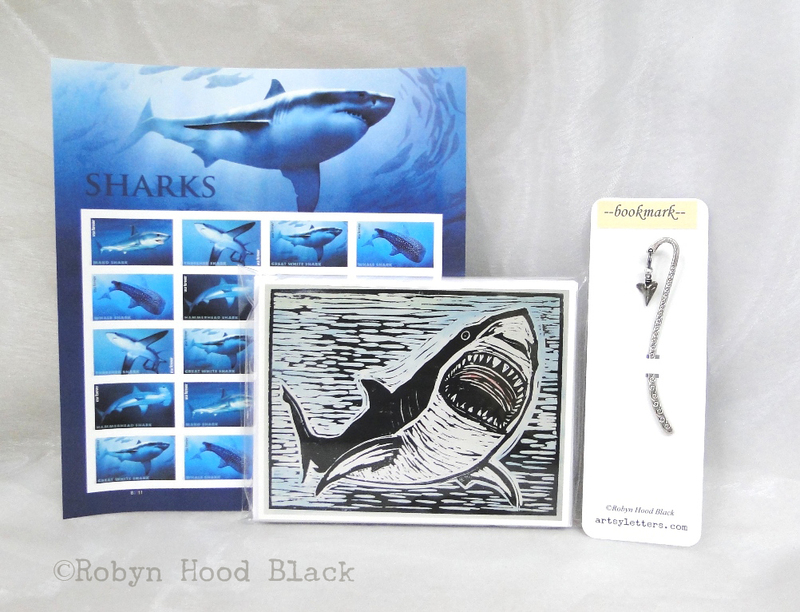 Today the USPS issued some beautiful new Forever postage stamps, right in the middle of Shark Week. 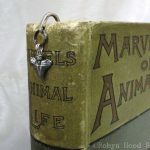 I’ve tucked them into a limited edition gift pack with my shark note cards (commercially printed from an original hand-tinted woodblock print) and added a fun little metal bookmark with a vintage pewter shark tooth charm.